ESTADIO LAS MALVINAS ARGENTINAS, Mendoza, Argentina’. El Tri looked to end their 2018 schedule looking to avoid setting new historical marks for futility while awaiting word on a full-time manager. Despite a more organized, protagonistic approach to their play, Argentina utilized bookend goals from Mauro Icardi (1′) and Paulo Dybala (87′) to defeat El Tri 2-0 in Mendoza. El Tri looked to avoid a feat achieved in 1951-1952 and stop a run of form that saw El Tri losing six of their last seven matches. However, seventy-two seconds into the match, Mauro Icardi took advantage of a México misread of a long-ball played over the Top through their lines to put the hosts in front early on. After the goal, El Tri seemed to adjust in their midfield and string together a few buildups. 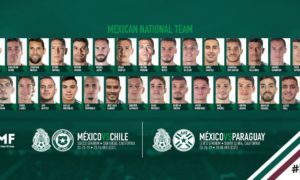 But the Albiceleste made the chances from their pressuring of the Mexico buildups and taking advantage of a failure for the El Tri collective to react to the attacks. Mauro Icardi and Maximiliano Meza both enjoyed chances off of some of the incisive throughballs that were played from the pressure. But none of those chances resulted in a shot that seriously threatened Jesús Corona’s goal. Victor Guzmán emerged as an early protagonist for El Tri in the first half, First, in the fourteenth minute, he forced Argentina starting goalkeeper Geronimo Rulli to be alert in recovering a ball he took on a winding dribble in the fifteenth minute. Then, nine minutes from the end of the first half, Victor Guzmán came close to leveling the score directly off a free kick. But his effort curled wide of Rulli’s near post. At the start of the second half, El Tri started to become more effective with their control of the ball. After Argentina manager Lionel Scaloni replaced goalkeeper Geronimo Rulli with Paulo Gazzaniga, El Tri were finally able to manufacture dangerous chances more regularly from their ball control. And in the game’s 68th minute, Jesus Gallardo forced Gazzaniga to make a reflex parry of his header from inside the six yard box. Gallardo’s header had come from a long diagonal cross that punished the Albiceleste positioning against the Monterrey wingback. Gallardo did not get as close to the frame of the goal seven minutes later. But Cruz Asul winter Roberto Alvarado, sensing an opportunity from the initiative his teammates had showed, did come close on a long distance shot eighty-one minutes in. Three minutes from the end of the 90, a slow collective recognition of the need to translate to recovery once dispossessed, something that had led to several previous Argentina chances, led to Mexico’s deficit doubling. Giovanni Simeone took advantage of such a slow reaction by El Tri’s defenders to find Paulo Dybala on a low cross inside the area. Dybala finished the cross with a low, first time volley to confirm the victory for the Albiceleste. With the result, El Tri extend their run of poor form to one win in their last eight games in all competitions. 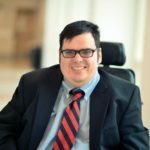 It was a record that had not been approached since 1951-52 and 1956. And in this case, every match that was not won was a loss. 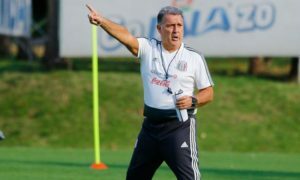 With Ricardo Ferretti’s term as the national selection’s caretaker manager appearing to come to a close, a new manager, possibly Gerardo Martino, is expected to take over when El Tri plays its next matches in 2019. 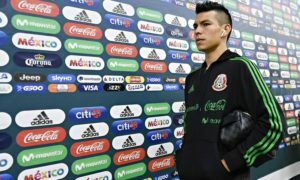 The new manager may have to work to identify how to get Mexico’s depth players to react quicker when suffering a giveaway off pressured buildups or when it looks like spaces might be exposed. Second, the manager has to identify quickly a pool of goalscorers who will be more effective at that duty than the team has showed since the 2018 World Cup in most games.